Find My Workspace lists over 95% of the serviced offices & coworking space market in Kowloon. Simply click Request Quote to check pricing for one office, or Add to Basket for multiple offices. This center stands out in the busy, bustling district of Kowloon, which isn’t always easy. This space gives members a high quality, modern designed experience, with quick access to a wide range of amenities in the surrounding area. Within walking distance, is a range of high-end malls, as well as a selection of restaurants and bars, perfect for anything from entertaining clients or social events. Strong transport links are located all around the center, making traveling around simple and easy. This building is a unique development featuring a cutting-edge commercial space and luxury residential development, with modern retail and two 6-star hotels in a single location. 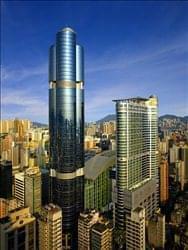 It is a 118-storey 484 m skyscraper making it Hong Kong’s tallest building and among the tallest in the world. 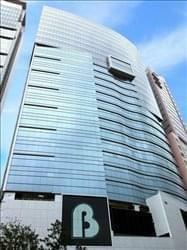 This centre at 82/F is the tallest serviced office in Hong Kong which provide breath-taking view over Victoria Harbour. This centre provides a fully-furnished and equipped office unit for instant move-in. 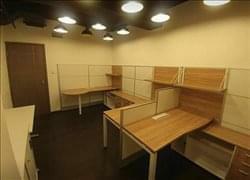 Office units are on an individual basis. The monthly rent covers management fee, government rate, electricity allowance and high speed internet. 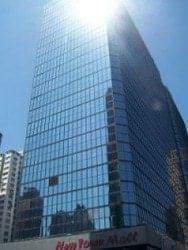 This center is situated on Chatham Road South and enjoys a locality with the Hong Kong Polytechnic University and a number of prestigious hotels and businesses making it a fantastic choice for your Kowloon office. Find everything from high-class and modern offices to flexible team spaces at this space. From the corporate suites to the modern work environments with state-of-the-art facilities, you won’t be short of serviced office space options. This centre is located within Billion Plaza 2, a 32-storey commercial building which is in the heart of Lai Chi Kok neighbourhood and part of the Cheung Sha Wan district in Kowloon, Hong Kong. The space is equipped with a modern and business friendly fit-out with excellent communication facilities, enterprise-grade telephone and high-speed broadband connectivity with a dedicated connection if necessary for global enterprises who require business-grade communication equipment. A secured business-grade server also allows clients to have their own server placed in the centre if required. The offices also have a dedicated power supply for any servers to ensure minimal downtime. 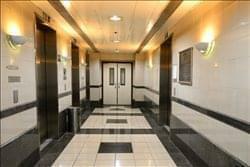 The building is well patrolled by security and are highly secured with keycard access and CCTV around the centre. Two meeting rooms are available for formal meetings and several breakout areas can be used for informal discussions, while a lounge located adjacent to the pantry allows clients to network. Other benefits include a well-stocked pantry that allows clients to have a drink or food whenever they feel peckish. 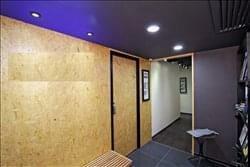 This centre provides a convenient location just a short 2-minute walk from the MTR Station. From flexible business service packages to premium beverage service kitchen, this centre provides you with a thoughtful and bespoke service powered by the advanced technologies your firm requires. The spacious and comfortable offices give you an inspiring, stylish atmosphere in which to work, meet clients and collaborate. 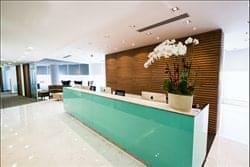 This location is a top-class business centre in Hong Kong providing high quality serviced offices, virtual offices, meeting rooms, secretarial services, business registration and accounting services. 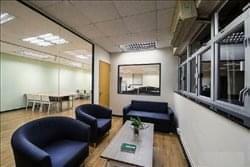 Located in the commercial districts of Kowloon East, the business centre is well catered for start-ups, overseas corporates, non-profit organizations and enterprises with simple human resources structure to help you to focus on your business development. The facilities and services include modernized furniture, conferencing equipment, reliable network infrastructure, Wi-Fi services, fast Internet connection, IT security, efficient communications and other utilities services. The centre provides 24 hours Access, 24 hours security system, High speed internet, Pantry, Well-designed work environment and Printer with fax service. The centre focuses on the details. The style is brought into the interior space, providing a unique working environment. The style is combined with the necessary elements of entrepreneurship and constructed from the perspective of the user. The centreis a coworking space in Hong Kong, occupies a sprawling 6,000 sq ft coworking office space that provides relaxed atmosphere for peoples in creative industrial, all the interiors are designed to be comfortable and inspiring. Welcome all entrepreneurs, creative freelancers, independent professionals, dynamic startups and small companies with 2-15 person collaborate here, and we provide full equipped infrastructure and flexible office plans for our members. The centre provides you with a personalized work-study place at an excellent location near the High-Speed Rail Station and Austin Station. The centre has lots of services to provide such as charging cables, teas and coffee for your to enjoy, printing, scanning and copy services, stable internet for you to work and mail address services for your daily office use. 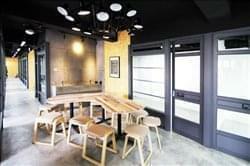 Besides, it has meeting room for you to hold a meeting, an inspiration wall for you to get some new idea, free snacks for you to eat. Last but not least, it has luggage storage service provide as well, so you can put your luggage in the centre when needed. This furnished office space is ideal for any start-up or well-established business that is wanting to grow their business with efficiency. With WiFi, a conference room, projector, printer and scanner all available; tenants are able to enjoy a professional business environment. In addition, an on-site security guard ensures that clients can work with ease knowing that they are safe. To obtain information for your selected Kowloon Serviced Offices & Coworking Space, please tick the "Add to basket" box for each office you prefer and complete the form below. We will then send a detailed report via email.